4 Categories for Christmas gifts. It’s that wonderful time of year again! Christmas time is my favorite! I love the cozy feeling in my home. I love the fun activities like baking cookies, watching Christmas movies, and reading Christmas books. I love having the kids home from school. I love teaching my kids about Jesus. Each year since we’ve had kids, this is also the time when I start wondering what to get them for Christmas. I went crazy for Emma’s first Christmas. She wasn’t even a year old and we had more presents than I can remember. I suppose I thought that Christmas would be more special if she had more presents. Seven years and two more kids later I know that is not true. Christmas is about family. Its about being together. Its about spending time doing things that matter. Its about building memories with our children that they can pass on to their own children. I try to be careful about focusing on presents. I tell my kids that Christmas is Jesus’ birthday, and that we wouldn’t have Christmas at all if we didn’t have Jesus. The whole idea of presents came because people brought presents for Jesus. 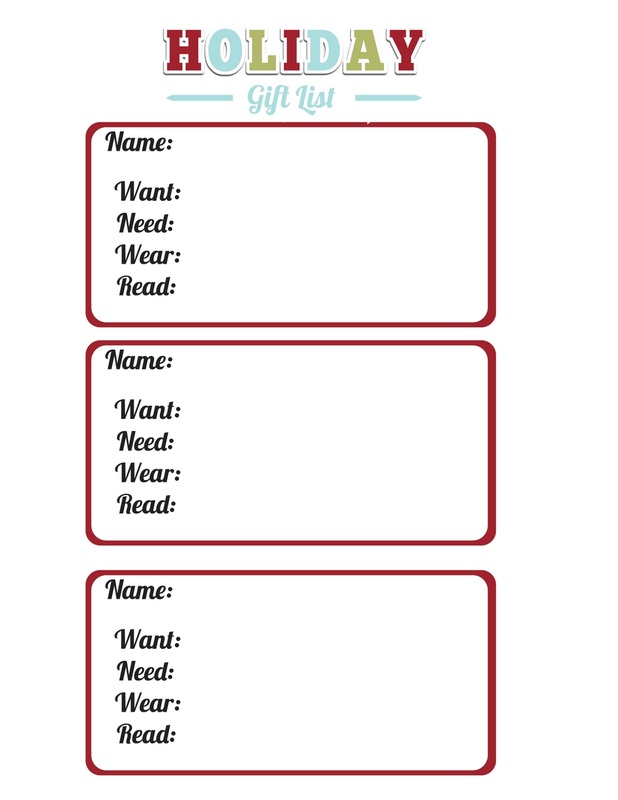 I found this neat little printable that you can use to make your list. Have any of you done this before? Do you have any other suggestions or advice? We follow the three gifts per person rule, also. (Stockings don’t count toward the 3, and I do tend to cram a ton into those stockings!) We try to have one big-ticket present (gold), one fun item (frankincense), and one personal or memory-building item (myrhh). For example, this year my eldest received a James Avery charm bracelet (it was silver, but counted as her gold item), a monogrammed phone case (myrhh), and a few clothing items she wanted (frankincense). I sometimes cheat and put several like-items in one box and count it as a single present. David received an iPad mini (his gold item), some Red Sox paraphernalia, and a Rainbow Loom.